Get Your Property Search Started Today! Whether you are looking for a Houston home for sale, exploring an investment in commercial real estate or simply seeking expert apartment locating services, CitiHomes Realty can provide you with the guidance and expertise you need to achieve your goals. We offer a wide range of services designed to serve commercial and residential real estate buyers and sellers in the Houston marketplace. Finding the right agent to represent your interests in today’s real estate market can significantly increase your chances for success. By working with a real estate expert from CitiHomes Realty, we can help you with all your real estate needs. CitiHomes Realty can help you find the right property whether you are looking for a house, an apartment, a condominium, or a townhome. Whatever your budget or preferences in housing style or location, we can help you find the right Houston home for sale, lease, or rent. We also provide property management services that ensure rapid response times for service calls in rented and leased residential properties. 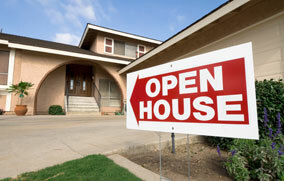 At CitiHomes Realty, we specialize in helping our clients find the perfect home. This applies to our commercial clients as well; we can identify the right commercial properties and facilities in convenient locations around the Houston metropolitan area. Our property management services can boost your corporate reputation for customer service and increase the satisfaction and retention rate for your tenants. Tell us what you are looking for and we will get started searching.